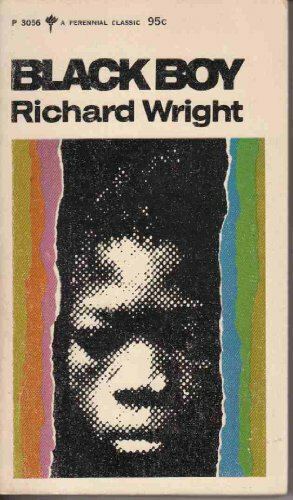 At four years of age, Richard Wright set fire to his home; at five his father deserted the family; by six Richard was - temporarily - an alcoholic. Moved from home to home, from brick tenement to orphanage, he had had, by the age of twelve, only one year's formal education. It was in saloons, railroad yards and streets that he learned the facts about life under white subjection, about fear, hunger and hatred. Gradually he learned to play Jim Crow in order to survive in a world of white hostility, secretly satisfying his craving for books and knowledge until the time came when he could follow his dream of justice and opportunity in the north. En låda B-böcker till Babelfisk! Kom med fyra kompisar. Tusen tack, Panzeranzi! Arrived with four friends. Thanks a lot, Panzeranzi! This book speeks of prejudice. violence and pain but also of hope and a will to learn and make a better life. I like it. "Without books the development of civilization would have been impossible. They are the engines of change, windows on the world, "Lighthouses" as the poet said "erected in the sea of time." They are companions, teachers,magicians, bankers of the treasures of the mind, Books are humanity in print."